The Wars of the Roses were a series of bloody civil wars for the throne of England between two competing royal families: the House of York and the House of Lancaster, both members of the age-old royal Plantagenet family. 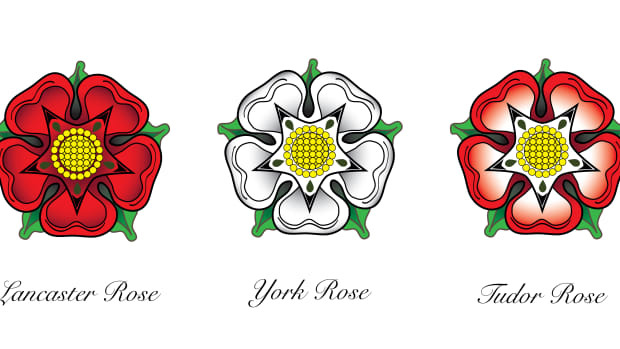 Waged between 1455 and 1485, the Wars of the Roses earned its flowery name because the white rose was the badge of the Yorks, and the red rose was the badge of the Lancastrians. After 30 years of political manipulation, horrific carnage and brief periods of peace, the wars ended and a new royal dynasty emerged. 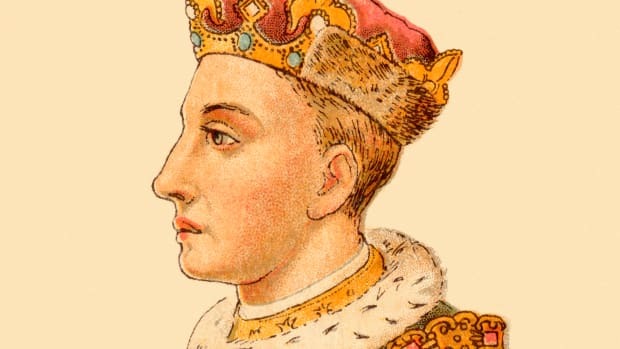 In 1422, Henry VI succeeded his father Henry V and became King of England—at just nine months old. Thanks to his father’s military conquests, Henry VI also became the disputed King of France. In 1445, Henry VI married Margaret of Anjou, a noble and strong-willed Frenchwoman whose ambition and political savvy overshadowed her husband’s. 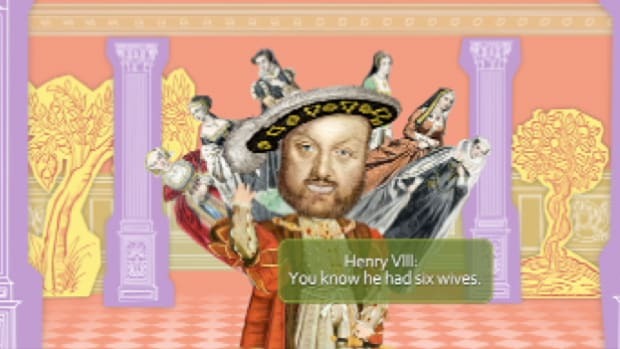 All was not well in King Henry’s court. He had little interest in politics and was a weak ruler. This incited rampant lawlessness throughout his realm and opened the door for power-hungry nobles and kingmakers to plot behind his back. Henry’s lack of leadership led him to lose almost all his holdings in France. This and the corruption and mismanagement of power in England, not to mention heavy taxation, caused frustrated property owners and peasants from Kent to revolt in 1450. Henry never officially agreed to Cade’s demands, one of which was to recall Richard, Duke of York, from Ireland back to England. Richard of York—as great-grandson of King Edward III—had a strong competing claim on the English throne. After a series of skirmishes, Henry squashed Cade’s rebellion and pardoned the rebels—except for Jack Cade himself, who would later die from a mortal wound during his arrest. Henry believed Richard of York was behind Cade’s rebellion (though there’s scant evidence that the Duke of York was involved). 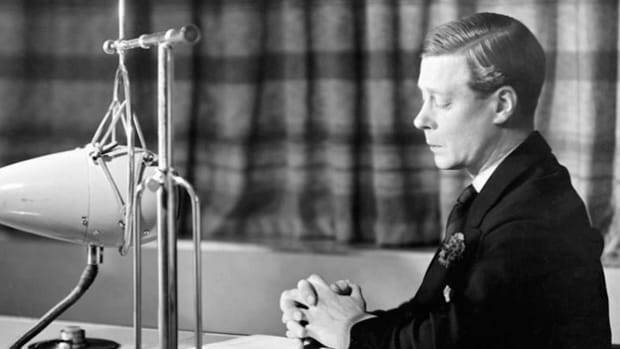 This rivalry set the stage for 30 years of battles for power involving three generations of Yorks and Lancasters. By 1452, Richard of York had returned to England and decided his mission in life was to rid Henry of his corrupt advisors, particularly Edmund Beaufort, Duke of Somerset. He raised an army and marched on London declaring fealty to Henry while also compelling him to remove Somerset from his post. But Somerset held on until Henry succumbed to his first bout of madness in 1454, leaving him virtually catatonic and unable to reign. During Henry’s illness, Richard became Lord Protector of England and imprisoned Somerset in the Tower of London. 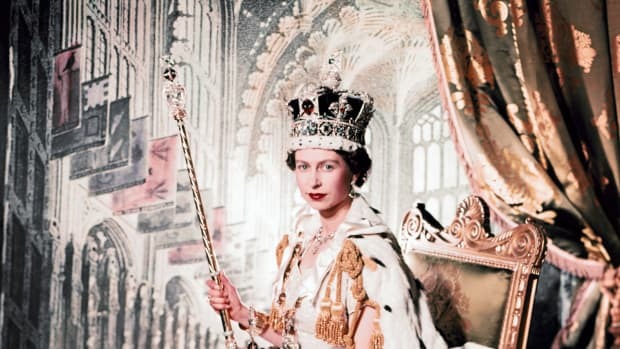 It was a bitter victory, however: Queen Margaret had given birth to Henry’s only son, Edward of Lancaster, in 1453, which weakened Richard’s claim to the throne. In February 1455, Henry recovered from his spell of insanity almost as suddenly as he’d yielded to it. Richard and his ministers were sent away and Somerset reinstated. On May 22, 1455, Richard of York, aligned with Richard Neville, Earl of Warwick, marched against Henry at St. Albans. After failed negotiations, the brief yet vicious battle raged through the town’s streets and left Somerset dead and Henry wounded. The Yorks took Henry prisoner and Richard became Lord Protector again. Queen Margaret and her young son, fearful for their lives, went into exile. As Richard maintained a shaky hold on England, Margaret worked behind the scenes to restore Henry to the throne, and uphold her son’s place as his rightful heir. Fearing his days were numbered, Richard formed an army commanded by Lord Salisbury. Salisbury’s army met Margaret’s large and well-equipped army, commanded by Lord Audley, at Blore Heath on September 23, 1459 in Staffordshire. Though outnumbered two to one, the Yorks soundly defeated the Lancastrians. 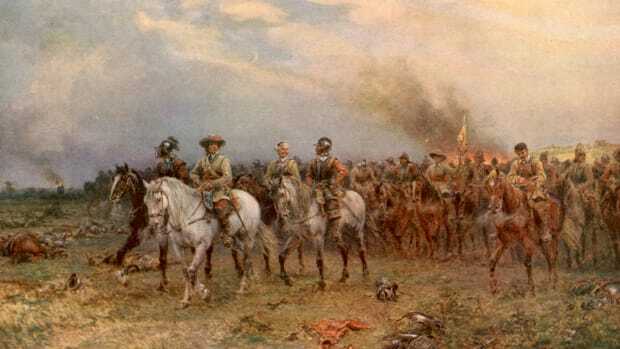 The Battle of Ludford Bridge was not waged with ammunition, but was a battle of wills and courage. By autumn of 1459, Henry and his queen had once again mustered a significant army, which now included many York deserters. Richard of York, Salisbury, Warwick and their forces withdrew to Ludlow Bridge near Ludford, Shropshire to stand against Henry and his men. 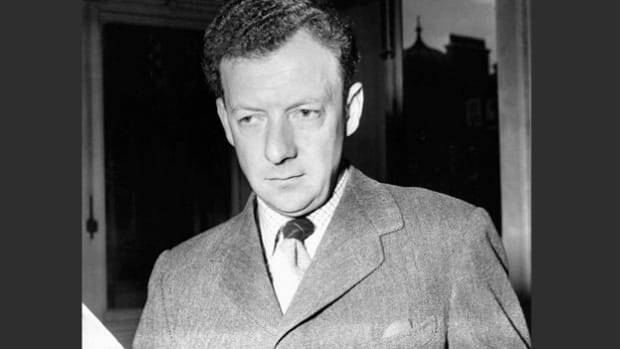 On the night of October 12, many Yorks defected and their leaders fled; Richard himself fled back to Ireland. But Richard and his supporters weren’t finished harassing Henry and Margaret. In June of 1460, Richard’s ally Warwick entered London with thousands of men. As they advanced on Henry’s army in Northampton, victory seemed unlikely. But unbeknownst to Henry, one of his Lancastrian commanders was a turncoat and allowed Warwick’s men access to Henry’s camp. 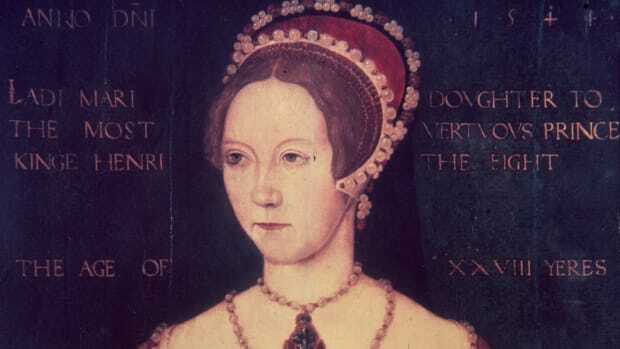 The Yorks easily won the battle and captured King Henry as Margaret fled once again. With Henry under his control, Richard again proclaimed himself and his heirs Henry’s successors. Henry agreed so long as he’d retain the crown until his death. Their agreement was passed by the British Parliament and called the Act of Accord. The ambitious Queen Margaret, however, would have none of this compromise, and raised another army to rise against the Yorks. 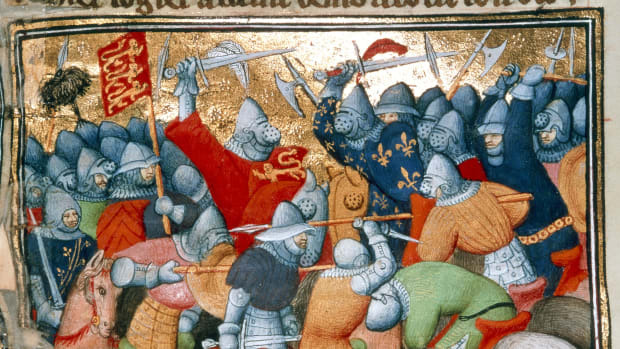 Richard set out with his forces to defeat Margaret’s army and settle the matter of succession once and for all. The armies clashed at Wakefield Green near Sandal Castle. But things didn’t work out as Richard had planned. He was killed; his severed head was put on display wearing a paper crown. Richard’s son Edward, Earl of March, succeeded his father. He also took over where Richard left off against the Lancastrians. 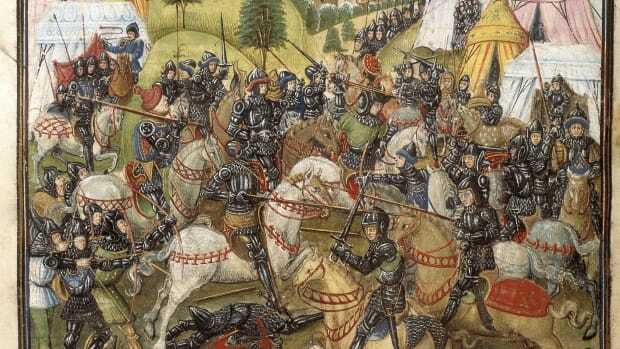 In the middle of winter 1461, his York forces defeated the Lancastrians at the Battle of Mortimer’s Cross. Weeks later, they were crushed by the Lancastrians at the Second Battle of St. Albans. It was here King Henry was rescued and reunited with his queen, but Edward wouldn’t give up. In March of 1461, Edward confronted the Lancastrian army in a snowstorm in the middle of a field near Towton, North Yorkshire. 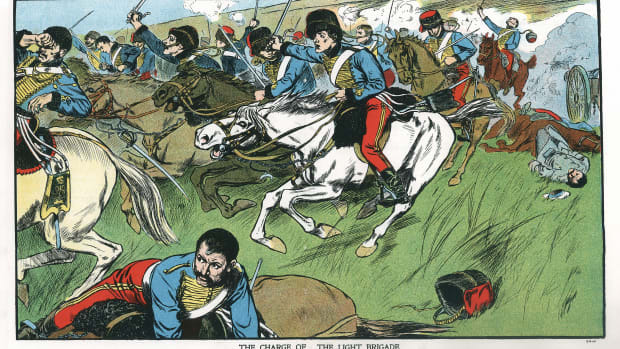 It’s believed over 50,000 men engaged in brutal fighting and around 28,000 died. The Battle of Towton was the bloodiest one-day battle in England’s history. The Yorks emerged victorious and Henry, Margaret and their son fled to Scotland leaving Edward King of England. Edward IV may have gained the throne, but he’d underestimated the deposed Queen Margaret’s stealth and ambition. With the help of her compatriots in France, she ousted Edward and restored her husband to the throne in October 1470. Edward went into hiding but wasn’t idle. 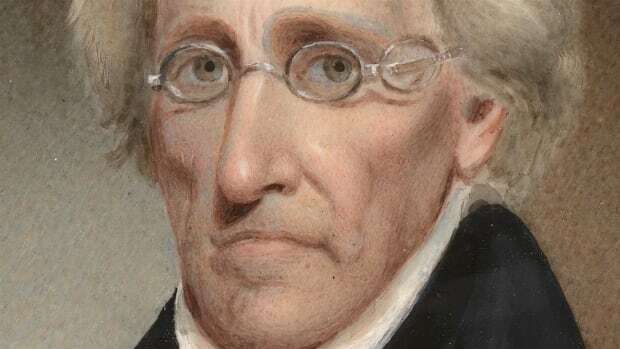 He mustered an army and won York victories at the Battle of Barnett and the Battle of Tewksbury. At Tewskbury, Henry and Margaret’s only son was killed and the royal couple were captured and held in the Tower of London; the throne of England reverted back to Edward. On May 21, 1471, deposed King Henry VI died, supposedly of sadness, although some historians believe Edward had him murdered. Queen Margaret was eventually released and made her way back to Anjou in France, where she died in 1482. King Edward IV died in 1483 and was succeeded by his young son Edward V. Richard III, the ambitious brother of Edward IV, became his nephew Edward’s Lord Protector—but he plotted to have Edward V and his younger brother declared illegitimate. The power-hungry Richard succeeded in his plot and was crowned in July 1483. To eliminate any threats to his throne, Richard III had his young nephews held in the Tower of London, supposedly for their protection. When both boys—now famous as the Princes in the Tower—vanished and Richard was accused of ordering them murdered, the king quickly lost favor with his people. 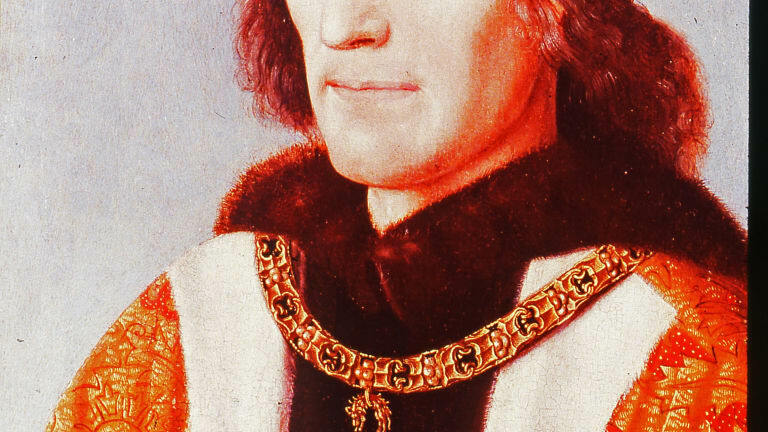 As Richard’s right to the throne became tenuous, the Lancastrian Henry Tudor—with the help of France and many nobles—staked his claim to the crown. He met Richard on the battlefield at Bosworth on August 22, 1485. After fighting valiantly, Richard III was killed. Legend has it his crown was placed on Henry’s head at the very spot where Richard fell. Henry was declared King Henry VII. After his official coronation, Henry married Elizabeth of York to reconcile the long-feuding Lancaster and York houses. This union ended the Wars of the Roses and gave rise to the Tudor Dynasty. Medieval Sourcebook: Jack Cade: Proclamation of Grievances, 1450. Fordham University. War of the Roses, 1455-1485. Military History Encyclopedia on the Web. The Wars of the Roses. Historic UK. The Wars of the Roses (1455-1485). Luminarium: Encyclopedia Project. Wars of the Roses. Oxford Bibliographies.